An incredible experience with Nature House. Langtang region itself a combination of unparalleled natural beauty and the Langtang-Gosainkunda-Helambu circuit Trek via 4609 meter's Lauribina pass is the incredible adventure that offers the stunning views of the massive Himalayas over 7000 meters, holy Lake Gosainkunda and the rhododendron along with the alpine plants and wildlife. This trek starts out form Syabrubeshi (148 northeast of Kathmandu) and that ends at Melamchi Pool bazaar. 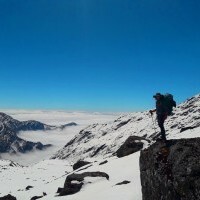 You will walk through Bamboo and rhododendron forests way along the Langtang Khola. Trekking through Langtang valley (3,430m), you will arrive at Kyanjing Gompa Village (3,870m) where you will experience the spiritual lifestyle of Buddhist and the monks performing their ceremony in the Monastery. 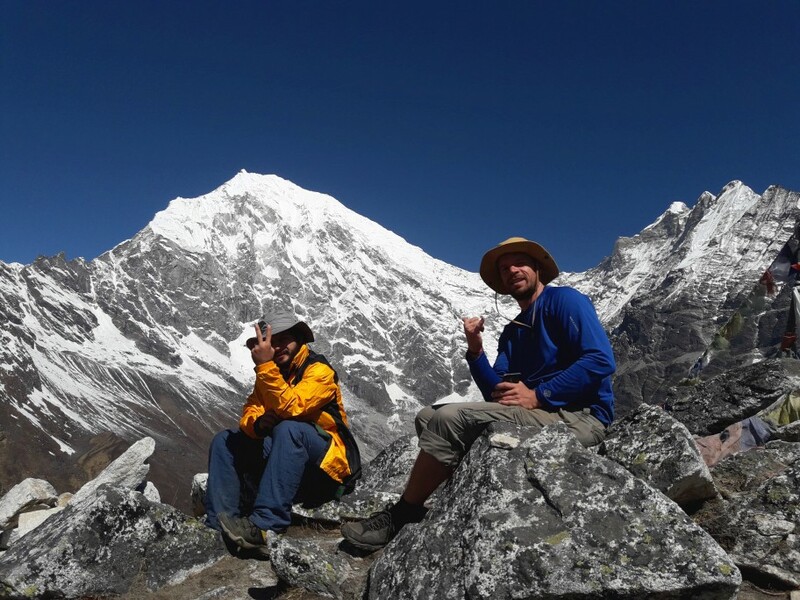 A short ascend to Kyanjing Ri 4800m or to Tserko Ri (5,000m) for extraordinary views of the Langtang Lirung (7,200m), underneath Langtang glacier, Dorje Lapka 6900m and Langtang River. Moving toward Gosainkunda Lake at an altitude of 4380meters, we'll pass by beautiful villages of Thulo Syabru, Sing gompa and Cholangpati. After crossing Laurebinayak pass (4,609m) you will also trek through some beautiful land terrace and a couple of splendid Buddhist monasteries around the delightful villages of Helambu, Tarke Gyang and Sermathang (2,621mt), before heading back to Kathmandu via Melamchi Pool bazaar. Upon your arrival in Kathmandu, we greet and meet you at the airport and transfer you to Hotel. You will have leisure time, followed by an evening welcome dinner at a typical Nepalese Restaurant. A half day city tour Kathmandu Durbar Square, Pashupatinath, Syambunath Stupa, the Hindu temple and Buddhanath, the Buddha shrine. And for the rest of the day, preparation for the trek. You will start early bus journey to Syabrubesi; the starting point of the trek. During the journey, you will pass through a number of small villages on the way. Crossing through the suspension bridge and heading precipitously along a stream. The River you are following is mostly the Langtang River. You can enjoy the walk going through oak, rhododendron and bamboo forests. There is also a variety of wildlife in these forests: yellow-throated martens, wild boars, langur monkeys, red pandas, and Himalayan black bears. 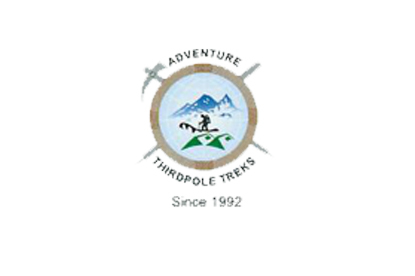 You will continue your trip ascending towards a slope to the Langtang River. You cross a bridge and head up with a windy path. The trail meets into a valley to cross a stream and climbs past several water-driven mills and Chortens to the settlement of Langtang. The first part of the trekking will be completed heading Kyanjing Gompa. 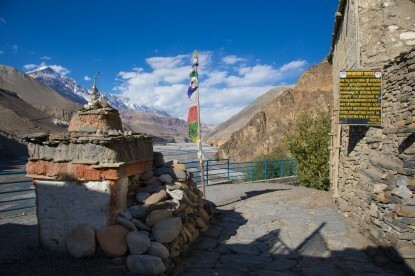 We pass through the tiny villages, stone-built houses and climb to a Chorten along a gentle path of a hill. This place is famous for yak cheese. 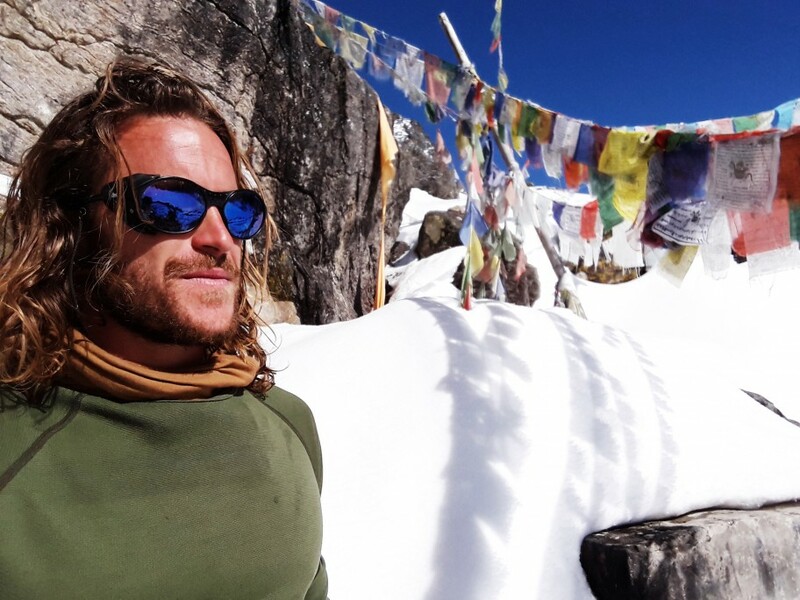 Allowing you to be well acclimatized, we take a rest today and walk around Kyanjin Ri (4,800m) and ascend to Tserko Ri (5,000m) are the excellent viewpoints from where you will have great views of the Langtang Lirung, Langtang range, Kinshung, Yansa Tsenji, and Glacier. Today you trek back to Lama Hotel. The trail will fairly be easy. You will have to miss the mountains seen in the previous days. You should decent to the river for the first 3 hours, cross the river and ascend toward Thulo Syabru. You will see the fascinating view of Langtang range. On the way of your trek, you will pass through pine and Junipers forests. Climbing up to Dimsa village and continues steeply trail up to Phoprang Danda then through rhododendron, hemlock and Oak forests to Shin Gomba(another cheese factory). You will enjoy the panoramic views of Manaslu 8167m, Ganesh Himal and Langtang ranges from Phoprang Danda. The trail ascends gently through Laurebina. 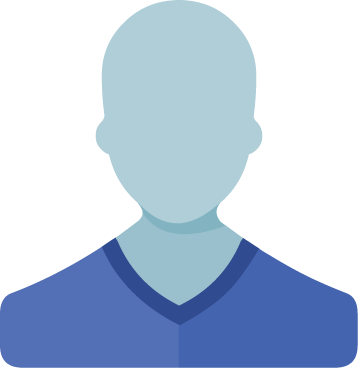 You will cross tree line before you get Lauribina. Arrive at a Gosainkunda, explore around the Lakes for this day. 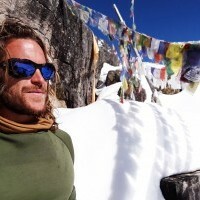 Today is a most challenging day in the entire journey; we should ascend until we head Laurebina La (4,609m) and after crossing the pass, descend to Phedi and continue walking up and down throughout crossing a rocky hill with pine, rhododendron trees. 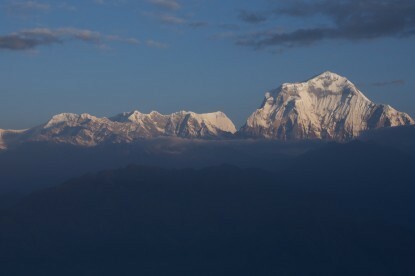 Overnight in Gopte(3,440m) or Thadepati 3600m. 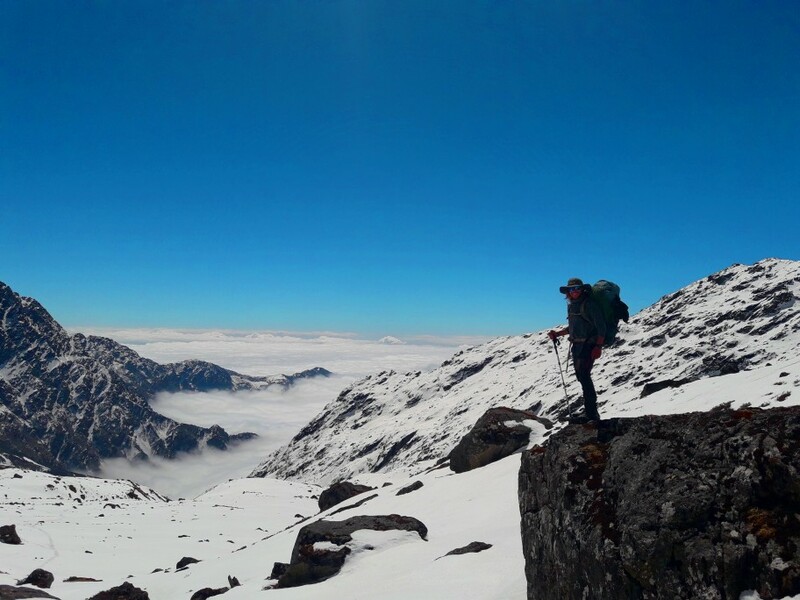 Walking through a forest and climbing through a dry river-bed, we arriving Kharka, bounded by rhododendron forest and continue walking through the forest then climbing the ridge directly above the village via Thadepati 3600m gives you a marvelous view of the Jugal area. Descending to Melamchi River and walk around half an hour and arrive Malemchigaon (2,560m) is a fantastic journey. 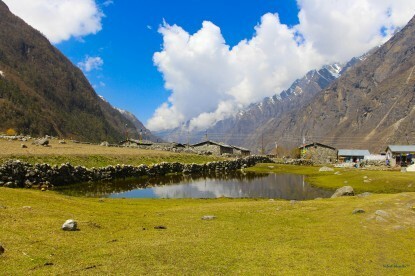 Melamchi is a cultural destination it known as Helambu. Walk up to Tarke Gyang for about 3 hours where you can enjoy with Sherpa culture with traditional village and monasteries. We'll stay there for rest and village excursion. You will cross a small forest with the view of the beautiful village of Helambu. The trail goes through Gangyul, a beautiful Sherpa village. The people here practice Drukpa Kagyu Buddhism, same as Bhutanese. Short walk down to Malemchipool Bazaar with numbers of Sherpa village and take transport to Katmandu. You will have time for shopping until we transfer you to the international airport for your final departure.